Blast Magazine just reported the news that Guitar Hero, the ever popular video game, has just hit 1 million fan on their Facebook Fan Page. This is a great milestone for the video game, and a clear message that social media is valuable across all aspects of the market place. Guitar Hero currently has (as of 2:28pm EST) 1,084,626 fans. 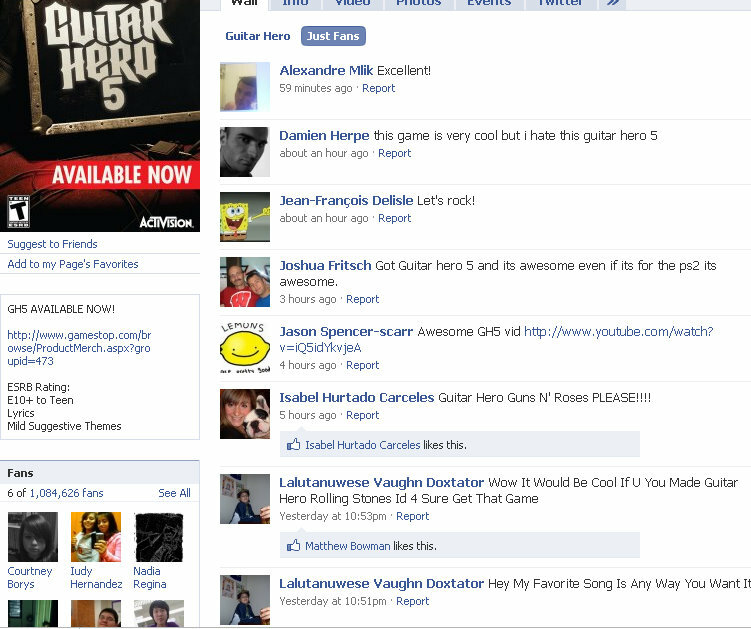 The Guitar Here fan base on Facebook is very active as well. 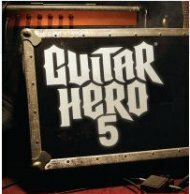 Sharing insights as to what they like and don’t like about various aspects of Guitar Hero, and making recommendations of what they (being the fans / users) would like to see. For the video games that aren’t yet utilizing social media, this would be a great lesson in how to do right. The Guitar Hero Facebook Fan Page utilizes a lot of different elements to engage their audience. They have polls, events, videos, and also a wide selection of Pages they are favorites of. One of the great features within the Guitar Hero Facebook Fan Page are the discussion boards. I lively discussion board is definitely a valuable asset for any product that’s using Facebook Fan Pages. The discussion boards provide great insights into what your customers are thinking, what issues they are dealing with, and even ways that users are finding to hack your system – meaning, users who are discovering short cuts to resolve issues. Guitar Hero has probably never been able to gain such a high level of customer feedback before prior to their Facebook Fan Page. And the custom feedback, suggestions, recommendations, and even complaints, allows for instant custom engagement.